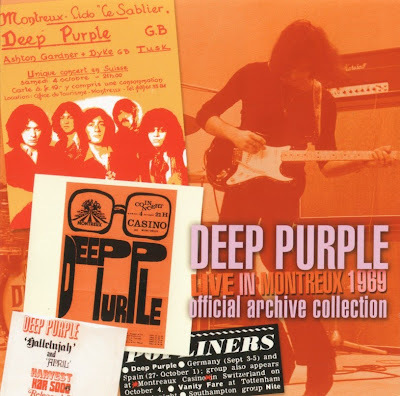 Live in Montreux 69 is a live album by English rock band Deep Purple, recorded October 4, 1969 in Montreux, released in 2006. It was recorded in the Montreux Casino that burned down two years later. It featured some of the first performances of "Speed King" and "Child in Time", which were released on Deep Purple in Rock eight months later. The live version of "Kentucky Woman" is the only known surviving MkII performance of the song. The album features no songs from the band's latest recorded album at the time, Deep Purple, because it wasn't released in Europe. Live performances of the songs from the album can rarely be found. Live in Montreux 69 was first issued under the title Kneel & Pray in 2004.
oe: always want know truth about burning Hammond, is this truth? Kneel and pray to the mighty uploader. THANKS!